First for Women is a women’s interest magazine that gives its readers the tools and inspiration they need to feel great, look beautiful and love every dimension of their life. 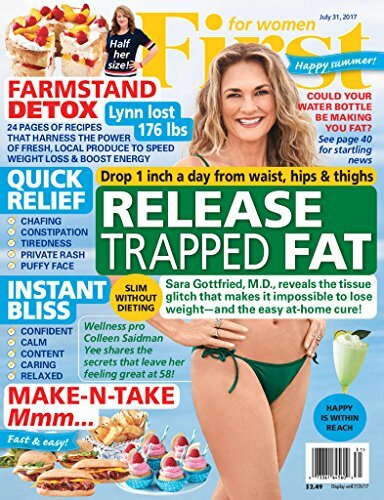 Published every three weeks, First delivers positive information on everything from health and nutrition, to beauty and fitness, to home and family. With an understanding that women have busy lives, First for Women delivers helpful tips and credible information you can’t get anywhere else. The magazine provides numerous motivational articles on living a well-rounded life, nurturing family, owning a pet, preparing healthy menus and just having fun! Each issue also comes with a 20+ page pull-out-and-save cookbook that’s packed with original recipes for easy, healthy meals! First for Women is very visual, with lots of quick tips and advice that make it easy to read as your schedule allows.